There aren’t many smartphones that are worthy of the marketing hype that surrounds them. The Samsung Galaxy 3 is one of the few exceptions to this rule. Not only does it have a strong battery that gives the phone a lot of life, the processing speeds are fast thanks to quad-core technology. The touchscreen is responsive and the overall design allows uses to manage their media and social connections very easily. With an entire suite of premium features, this top-end from 2012 still offers a tremendous amount of value today. Maybe the best part about the Samsung Galaxy 3, however, is the fact that it is a premium smartphone that doesn’t come with a premium price. The Samsung Galaxy 3 is one of the super AMOLED HD phones that Samsung released over the years and this gives it a crystal clear display. It’s just 8.6 mm thick, about 5.4 inches in length, and just under 2.8 inches in width. It weighs in at 133g, about average for a smartphone of this size, and the 4.8 inch touchscreen offers a 720p resolution. The 306 PPI pixel density is still highly competitive with more modern smartphones and the Gorilla Glass gives it an added level of protection. The sunlight legibility is fantastic on the Samsung Galaxy 3. At 3.419 for a contrast ratio, it’s one of the best in the business still today. Even when compared to other Samsung Galaxy products, the Galaxy 3 stands alone. The contrast ration is 1.4 better than the Apple iPhone 4 in direct sunlight. As for the technical specs, the Samsung Galaxy 3 stands up reasonably well still too. It’s a 1.4 GHz Cortex A9 quad core processor that powers this smartphone and the Mali GPU offers the support that it needs. An external mSD storage slot offers up to 64 GB of extra space, while internal storage ranges from 16 GB to 64 GB depending on the model that is purchased. The one place where the Galaxy 3 feels a little dated is the fact that it comes with Android’s Ice Cream Sandwich operating system out-of-the-box. Users have the option to upgrade it to Jelly Bean, but it is still a little behind here. That doesn’t change the fact, however, that this smartphone still comes packed with plenty of features that users are going to love. 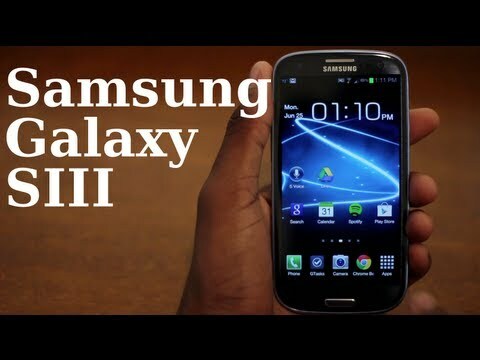 What Are the Features of the Samsung Galaxy 3? The primary feature that stands out with the Samsung Galaxy 3 is the 8 MP primary camera. It offers access to an LED flash and autofocuses quickly so that a great shot can be captured in an instant. Users can also record HD video while doing image recording, while touch focus and smile detection are also part of the package. Video is in true HD 1080p. The front facing camera isn’t anything special at just 1.9 MP, but it does record in 720p at 30 frames per second, so it’s good enough for a video chat. Users will also find that the active noise cancellation is a useful feature. Conversations come through crystal clear on both ends and there is barely any white noise during moments of silence. Bluetooth connections tend to have a bit more background noise when hands-free equipment is being used. Wi-Fi and USB services, including a MHL TV-out, will give users the ability to connect in virtually any circumstance. The Samsung Galaxy 3 also comes with a proximity sensor, a compass, a barometer, and a gyro. The equipped accelerometer is responsive, while the phone can be setup to receive email, MMS, and instant messaging for greater flexibility. As for multimedia options, this smartphone is able to play most music and video files. It is even equipped to play DivX files that are downloaded or streamed from an online source. What About the Battery on the Samsung Galaxy 3? Unlike other premium smartphones, the battery cover is removable with this smartphone so batteries can be switched in an out. It comes equipped with a lithium-ion 2100 mAh battery out-of-the-box and this is good enough for about 11.5 hours of talk time if you’re on a 3G network. If 2G connectivity is only available, then talk time can actually be doubled. It has a standby rating of 790 hours. The only one real drawback of this phone is that the battery life tends to get sucked away when data is being used. Many people will look at the possibility of 128 GB of storage as a great thing when mSD and internal storage is combined, but accessing HD apps or videos will dramatically reduce the life of the battery by up to 70%. Heavy data users will likely want to invest in a battery backup if the Samsung Galaxy 3 will be their primary internet access point. 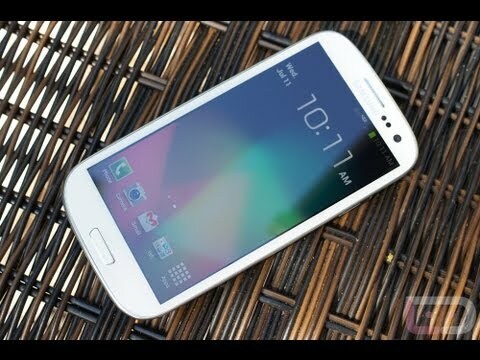 What’s the Verdict on the Samsung Galaxy 3? Although it is an all plastic body that comes with the Samsung Galaxy 3 and having a dedicated camera key would be a nice addition, the overall functionality of this smartphone will give users a premium experience. The S Voice can be problematic at times, especially if your expectations of it were what you saw in advertisements, but those are really the only negative points. The Samsung Galaxy 3 offers users a rich video experience and there is audio codec support. File management comes pre-installed on the phone and a document editor will help business users stay productive while they’re out and about. An FM radio is also included, there’s a 3.5 mm audio jack for headphones, and the audio quality for music or conversations is remarkably authentic. If you are looking for a premium phone, then the Samsung Galaxy 3 has a lot to offer, even though it was first offered to the general public in 2012. For those who want a rich experience from their phone while on a budget, then this phone should still be considered today.